1. List the major functions of the skeletal system. 2. How many bones are there (normally) in your skeleton? 5. What is the membrane lining the medullary cavity called? 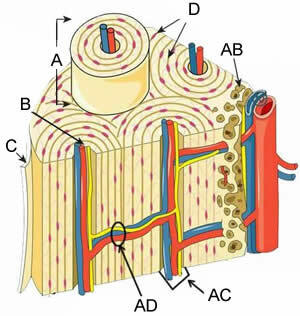 What is the membrane that is on the surface of bones? 6. What is the proper term for a skeletal joint? 7. Describe the two types of marrow? 8. Give the proper names for the two types of bone tissue; where is each found? 11. What bones are considered intramembranous? Endochondral? 12. Name and describe the 3 major types of joints (examples). 13. Give examples of the four types of diarthrotic joints. 15. Name and locate the 4 major sutures. 17. 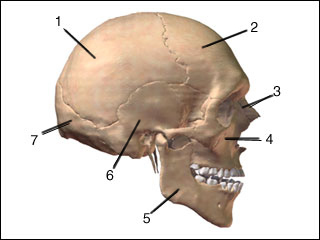 Label a human skeleton.